Featuring specially-commissioned illustrations, this first English-language edition of Sun-mi Hwang’s fable for our times beautifully captures the journey of an unforgettable character in world literature. Sun-mi Hwang is a beloved writer in South Korea, where she has won many awards and published more than forty books enjoyed by adults and children alike. Born in 1963, she was uanble to attend middle school due to poverty, but thanks to a teacher who gave her a key to a classroom, she could go to the school and read books whenever she wanted. She enrolled in high school by taking a certificate examination, and she graduated from the creative writing departments at Seoul Institute of the Arts and Gwangju University, and from the graduate school of Chung-Ang University. She lives in Seoul, South Korea. 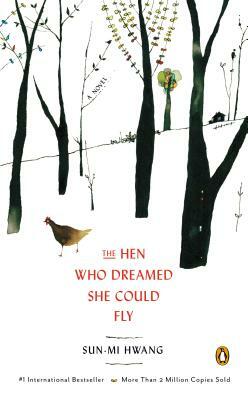 Upon its publication in 2000, The Hen Who Dreamed She Could Fly became an instant classic, remaining on bestseller lists for ten years and inspiring the highest-grossing animated film in Korean history. It has also been adapted into a comic book, a play, and a musical, and has been translated into over a dozen languages.